Rust is a genuine concern for a large chunk of the US population and it’s not just a cosmetic problem. 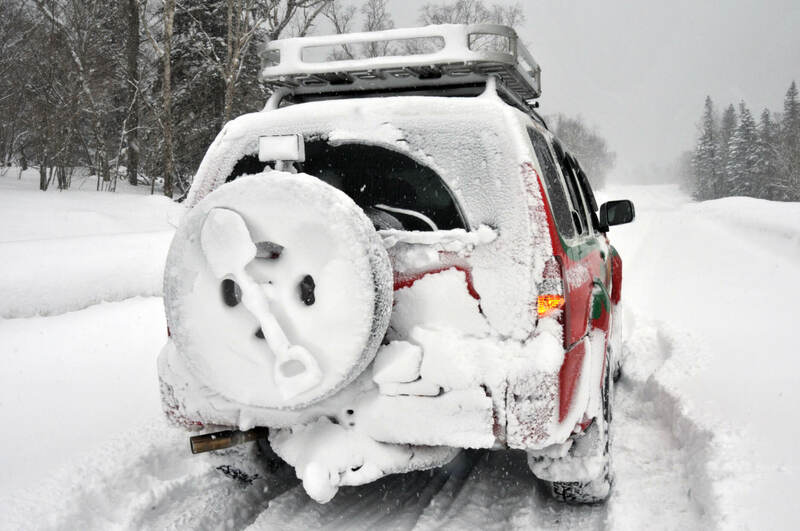 With seven out of ten US drivers either currently living, or have in the past five years lived, in a winter climate region, their vehicles are more likely to have rust issues due to the heavy use of road salt and other de-icing chemicals. De-icers are not just used in areas with high humidity or a large amount of rainfall/snowfall. Every year, approximately $3 billion dollars in damage is caused by de-icing methods according to an AAA survey. That’s a lot of money! Now, these methods are critical for keeping our roadways safe during the winter months. It’s important to remember that rust damage can rear its ugly head at any point in the year and drivers need to watch for the early warning signs. If you see or experience any of these signs in your vehicle, you’ll want to get your car to a mechanic immediately. Check out our prevention suggestions below! With a name like the Salt Belt, you’d think it would be an arc of some kind, but no. It’s not that simple. The states in the Salt Belt all use a large amount of road salt and liquid de-icers which makes cars in the area prone to rust. Wondering if your state is in the Salt Belt? You’ll find Connecticut, Delaware, Illinois, Indiana, Iowa, Maine, Maryland, Massachusetts, Michigan, Minnesota, Missouri, New Hampshire, New Jersey, New York, North Dakota, Ohio, Pennsylvania, Rhode Island, South Dakota, Vermont, Virginia, West Virginia, Wisconsin, and Washington DC all on the list. Approximately 4.4 million Americans pay for rust damage repairs to their cars every year, to the tune of $250-$1,000 each repair. I don’t know about you, but prevention seems like a great idea. One way to help prevent rust is to wash your car regularly throughout the winter. We know it’s a bit late to do a pre-winter visit, but it’s a good idea to get your car checked out to make sure your vehicle is in great shape for the winter! It’s always a good idea to wax your car before the major seasonal changes. It’s a good pre-game step. Puddles can have a lot of dissolved salt in them, something you don’t want on your undercarriage. And following plows means you’re the first person to drive through freshly laid salt! Get that salt off ASAP. I’ll be the first to admit that I always thought winter car washes were pointless, but the fact that they help prevent rust issues. Well, I’ll be meeting you at the car wash.
Make sure you use an under spray or go to an automatic car wash to get the salt off your undercarriage. We hope these suggestions help you keep your car rust free. We know it can seem like a losing battle in some states. But you’ve got this! If you’re looking for winter driving advice check out our posts for “Staying safe in snowy conditions” and “Winter traveling with kids”.